RVnGO is America's best marketplace to find RVs to rent in Colorado. Find your RVnGO! There are a few mountains in Colorado that are higher than fourteen thousand feet, and Pikes Peak is the most staggering. Called "America's Mountain," it invites you to climb on up for the chance to appreciate one of the best panoramic landscapes in the nation. Not a hiker? Donâ€™t despair, guests can also get to the highest point of Pikes Peak by taking the Cog Railway to the summit. Once youâ€™ve crested it, youâ€™ll feel as though you are top of the world. Scroll down for details on RV Parks close to Pikes Peak where you can stop your Colorado Class B RV rental and catch some breath. Nothing is more relaxing than kicking back and unwinding in a beautiful 104-degree hot spring. Dividers allow the pools to have different temperatures, so everybody who visits can find their ideal spot to soak up nature. Situated outside of Steamboat Springs, this mineral bath comes with options for a massage in one of their huts or watsu therapy in a private pool. Stawberry Park Hot Springs is a wonderful place to stop along the way. The Wild Animal Sanctuary was made to be a refuge for lions, tigers, bears, panthers, cougars, wolves, and different wild animals that have experienced abuse or been kept wrongfully. More than three hundred creatures now call the sanctuary home, they are free to wander aimlessly in species-particular environments covering more than 10,000 acres of land across two sites. The Wild Animal Sanctuary is open every day and offers a lifted walkway, enabling guests to see the creatures as they meander openly over the field. Pikes Peak RV Park is situated in the area of Manitou Springs with easy access to many sites. It has 48 accessible full hookup spots with tables and is only a couple of minutes path from various restaurants, museums, shops, and attractions. You can also appreciate water activities at the Fountain Creek. Offices and conveniences incorporate a walking/biking trail, rec halls, restrooms and showers, nearby RV shops, and laundry rooms. 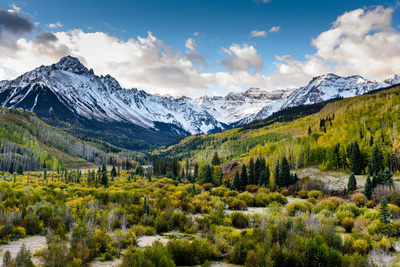 Stop season is from March 1 to October 31 for all RV trailer rentals in Colorado. The ideal home base for an deluxe RV rental in Colorado, the Garden of The Gods RV Resort offers 5 star luxuries in a focal area in Colorado Springs. It has 173 accessible full hookup spaces with porches, tables, fire rings, and room for slideouts for a Class B RV rental in Colorado. Offices and amenities include a heated pool, office, game room, horseshoes, play areas, nature trails, arranged activities, rec halls, lunch room, restaurant, RV stockpiling and supplies, restrooms and showers, laundry rooms, and much more for your trailer rental in Colorado. Prospect Place R.V. Stop and Campground Found only a couple of minutes from the heart of the city of Denver, Prospect Place R.V. Stop and Campground is your hot spot to crash in your campervan. It has 46 accessible locations, 24 of which are full hookup spots with tables for a motorhome rental. Offices and pleasantries incorporate wi-fi access, restrooms and showers, laundry rooms, and RV stockpiling for your RV rental in Colorado. Rather lacking as far as recreational offices go, its closeness to Denver attractions makes it a marvelous place to dock! If you plan to visit Denver in the fall, you can't miss the RUN GORILLA, RUN! It is one of the wackiest occasions Denver hosts every year. It includes more than three thousand individuals in gorilla suits running a 5K. If you want to run too, you can rent out a gorilla suit, included in the registration and race fees. This race benefits the mountain gorillas of the Democratic Republic of the Congo, Uganda and Rwanda. If you are wandering in the Royal Gorge region of Colorado, be sure to schedule it during the beginning of May so you wonâ€™t miss the CaÃ±on City Music & Blossom Festival. This four-day extravaganza can be enjoyed by the whole family. It is jam packed with fun: visit the carnival, chow down on food, peruse the craft fair & kid zone, listen to the choir competition or statewide band rivalries, and donâ€™t miss the parade! Last but not least, you can also get on over to the Royal Gorge Rodeo, which happens Friday and Saturday night for some bucking broncos. Not enough running around for you? Hobnob with the locals as they make their way through the historic down town and Riverwalk trotting for a 5K or half-marathon. A get-away heaven, youâ€™ll be awed by its wildlife, plentiful landscapes, history and city life. On a budget? Don't stress, a Colorado excursion is super affordable with the modest RV rental prices at RVnGO! Much obliged to you for choosing RVnGO for you RV rental needs.